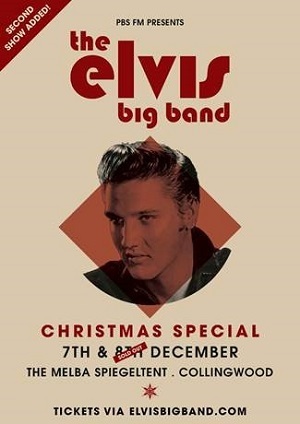 The Elvis Big Band bring you a special festive season show filled with a sleigh load of tinsel, Elvis hits, candy cane and shakin' hips! Special surprises are in store along with the exceptional calibre of musicianship and performance the band are renown for - all under the canopy of a Melba Spiegeltent winter wonderland. This is a seated, limited capacity event full of festive surprises - so don't get left out in the snow!